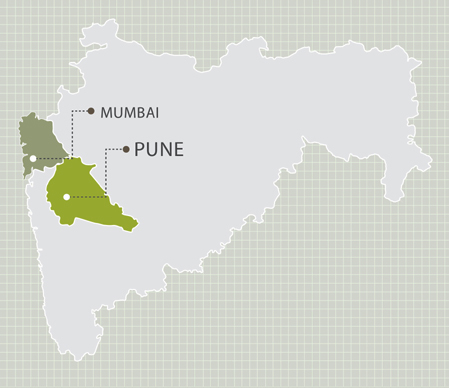 Pune is bustling with energy – of enterprise, education and entertainment. A city that offers you a balance between work and play. A city that lets you soak in life’s little pleasures. Pune, truly has it all. Picturesque and “IT-enabled” Hinjawadi mirrors all these aspects that the rest of the world sees in Pune. While the biggest names in IT have made Hinjawadi their home, there is a so much more that this destination has to offer to the people of Pune. Welcome to an amazing destination that promises to leave you spellbound with the lifestyle it can offer you. Hinjawadi. Located in the heart of the Hinjawadi, The Crown Greens is well connected to the Mumbai Pune Expressway that is just a short drive away. The Crown Greens offers you a life that is both busy and relaxed at the same time. You are a stones throw away from work at the leading names in the IT & ITES business and you are equally close to some lovely restaurants, fast food outlets and food courts. Despite being in the midst of the life’s daily activities, the small hill that envelop The Crown Greens on one side evoke a filling of complete serenity. Schools, markets, offices, healthcare, entertainment and all of your daily needs are in the vicinity. You can probably walk to work from your home at The Crown Greens.